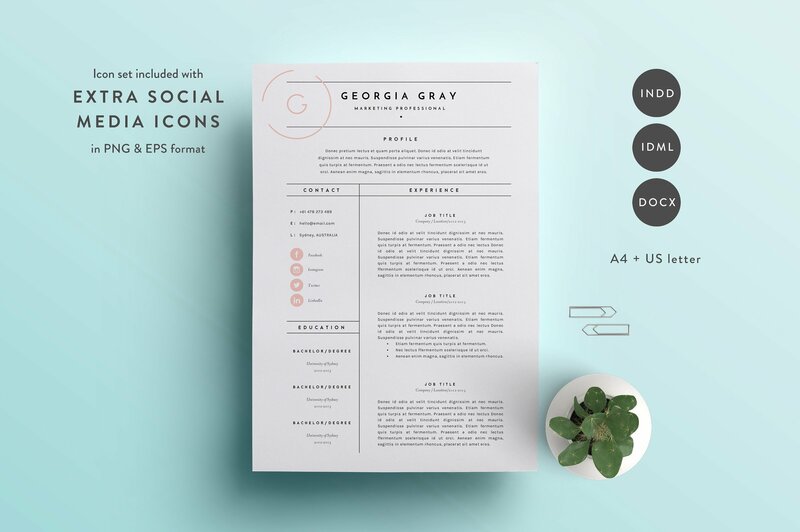 A two page resume template complete with matching cover letter, this simple yet elegant design is ideal for those who want to create an impression of professionalism. 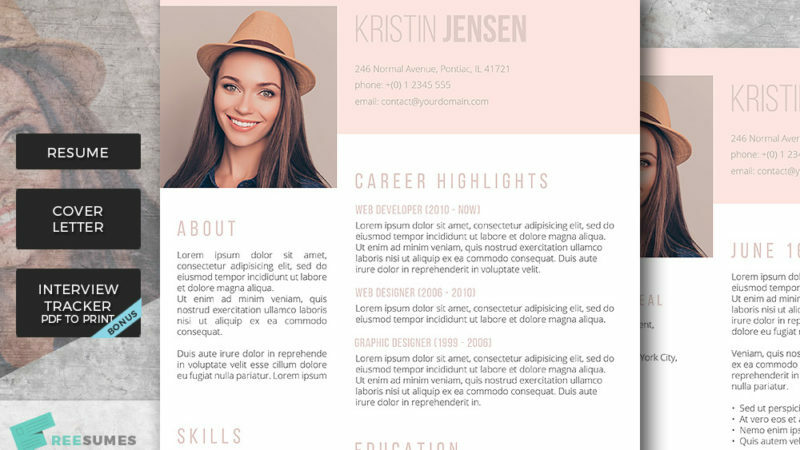 The no-nonsense design is sleek and understated but adds just a little touch of finesse with its fine detailing that is nice and subtle and not at all ‘in your face’, unlike some other resume templates. 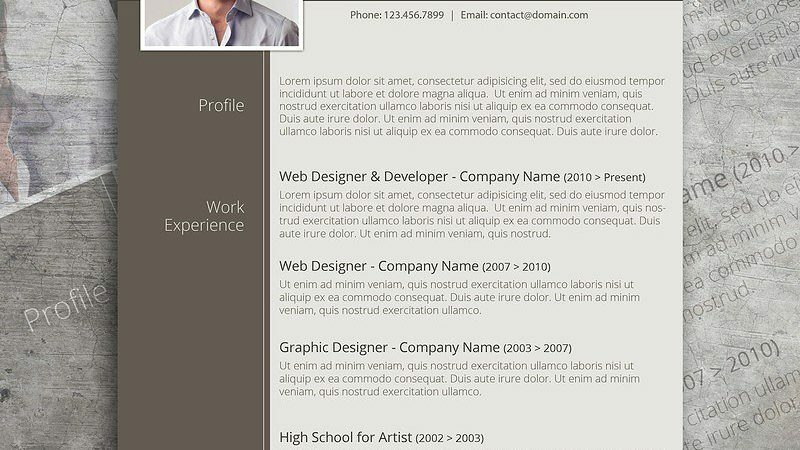 The good use of available white space and fine bordering makes a well-balanced resume that enables you to list all your positive attributes.